If you have a PC Optimum account, you might want to check your rewards balance. People across Canada say their points were stolen and spent. One woman lost more than one million points (worth more than $1,000) when someone hacked her account and went on a shopping spree. Loblaws didn't explain how the heist happened, but said members should create strong, unique passwords. Canadians need more room to store their stuff. Industry statistics show that on average, Canadians have two square feet of storage per person (versus nine in the U.S.). Companies are investing big bucks to improve the look (and smell) of storage lockers and are offering new services like pickup and delivery at the click of a mouse. Toyota is putting the brakes on autonomous vehicle testing after an Uber self-driving vehicle struck and killed a woman in Arizona. They worry the incident may have an emotional effect on their test drivers. Experts say the accident could mean we won't see self-driving cars on the streets for a while. 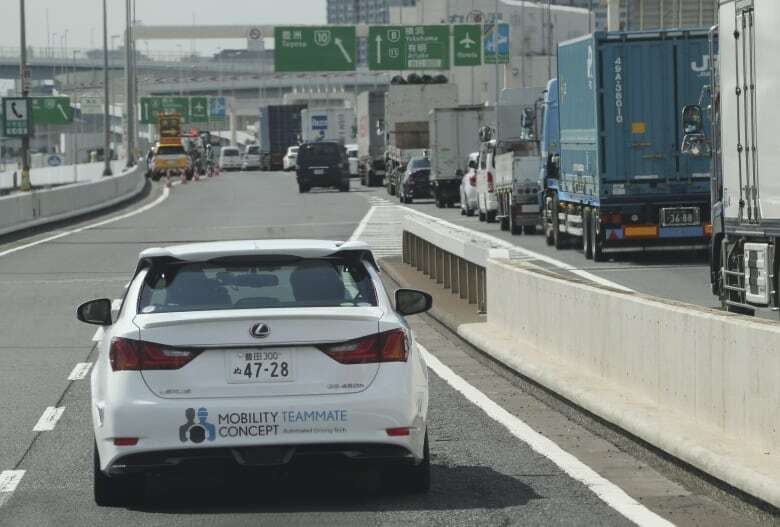 They warn that the "state of autonomous driving is very far from where it needs to be." A Halifax senior was charged for a hospital telephone bill that spanned almost three years, even though she only spent 39 days in hospital. Her family discovered she had been paying an additional monthly charge when reviewing her bills. Bell Aliant said patients are required to cancel their hospital phone service and that they're not notified when patients are discharged for privacy reasons. Consumer trust in grocery stores has fallen. A new study shows Loblaws trustworthiness has taken a hit since allegations emerged that many of the chains were in cahoots to keep bread prices high. No more 'phantom vehicles.' Transport Canada is introducing new rules to stop cars from operating without lights in the dark. The manufacturing standards kick in for all new cars beginning September 2021. Aeroplan has struck a deal with Amazon. Starting in April, Aeroplan members who visit Amazon.ca through Aeroplan's web portal will be able to earn miles for every dollar spent. This multiple sclerosis drug could cause brain disorders; this ground beef could be contaminated with E. coli; these pacifier and teether holders could be a choking hazard; this riding lawnmower could unintentionally mow when it's driven in reverse; this power bank's battery could overheat and ignite fire; these smoke detectors have sensors that could fail to detect smoke. We'll be back with a new show April 6, but while we're away, you can binge watch our past episodes on YouTube.